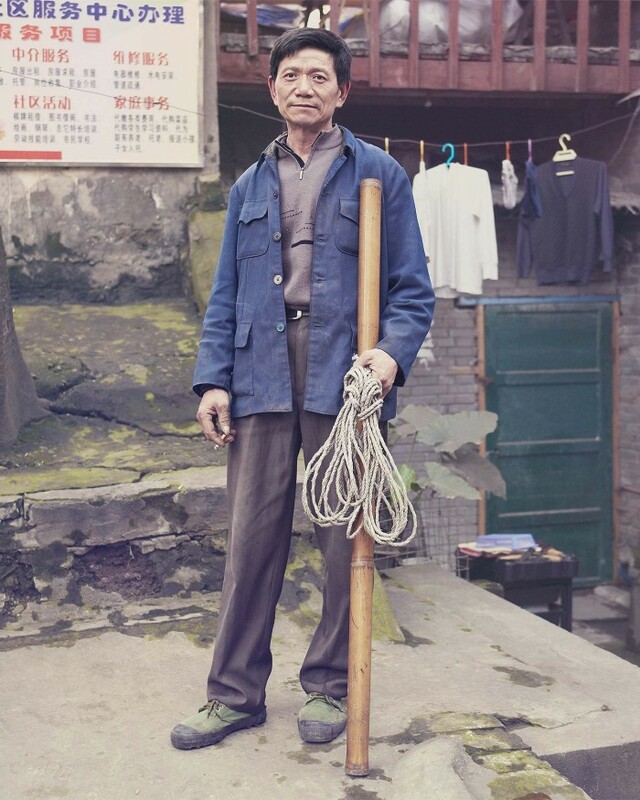 The Mega city of Chongqing has a depth of history that belies its brash new title of the fastest expanding urban mass on the planet. 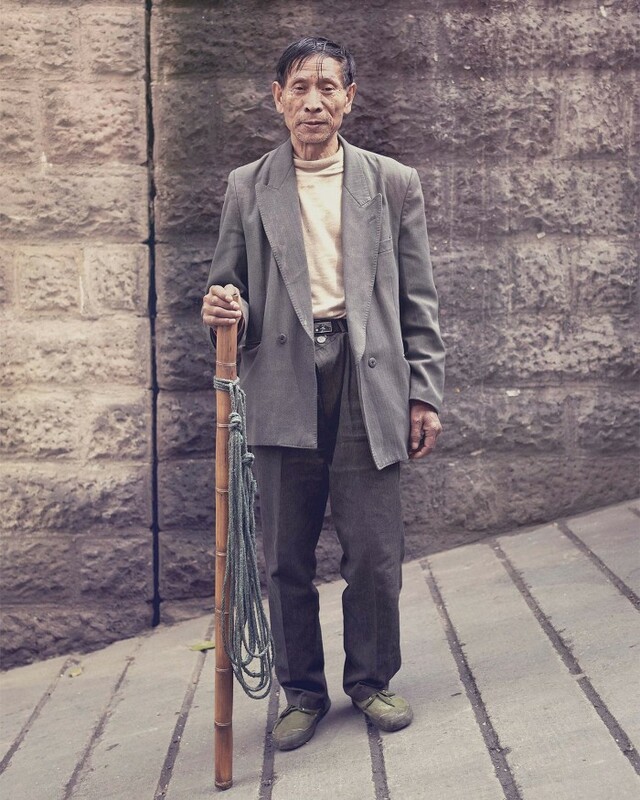 An ancient city on the confluence of the Jialing and the Yangtze rivers the city became a provisional capital during WW2 as its heavy fog protected against the Japanese air force. 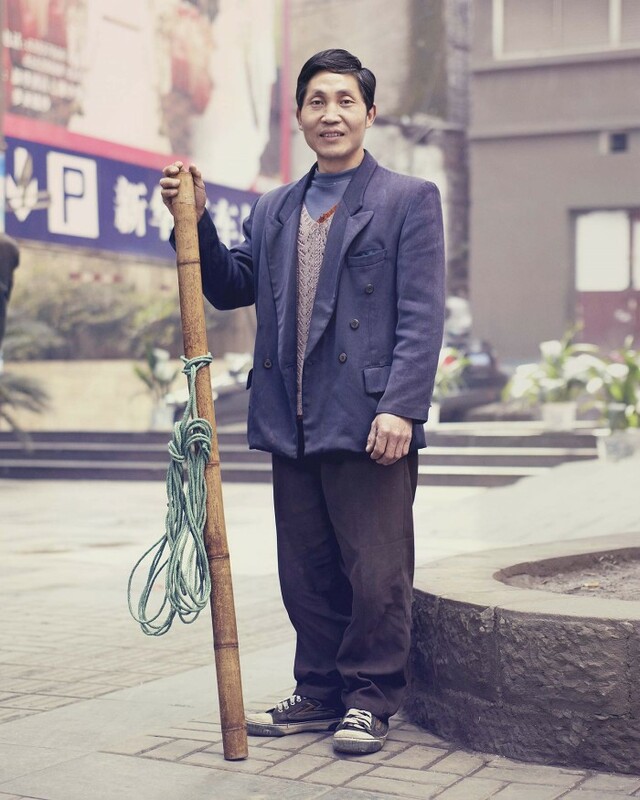 Today it is one of the ‘four furnaces’ of China and is witnessing human migration on a biblical scale. 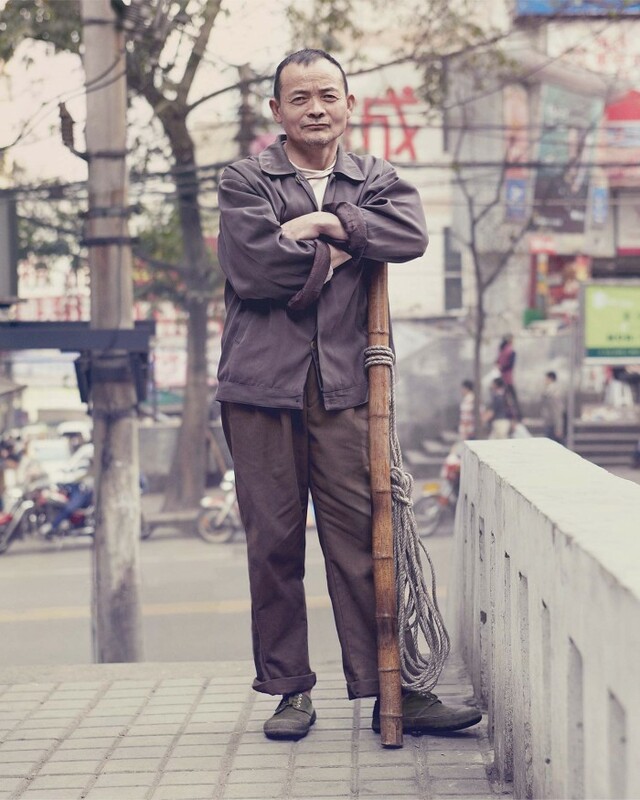 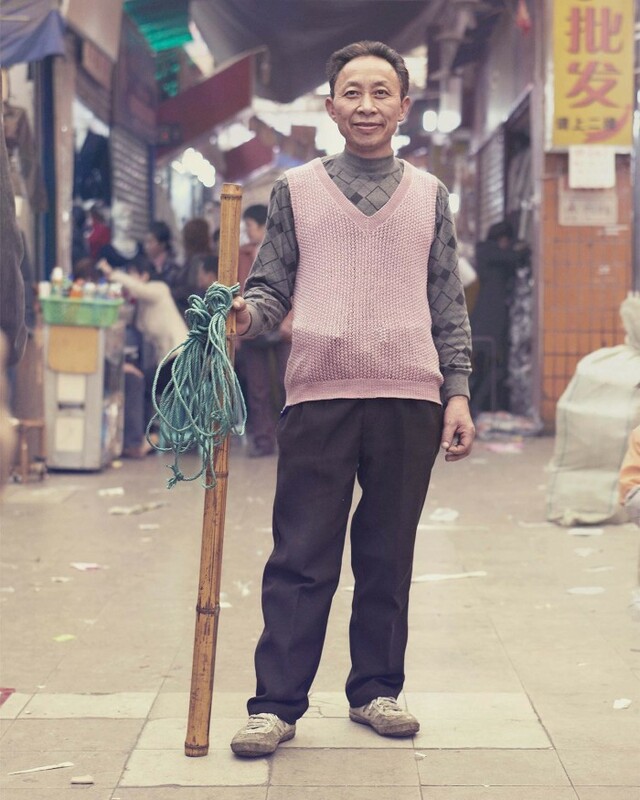 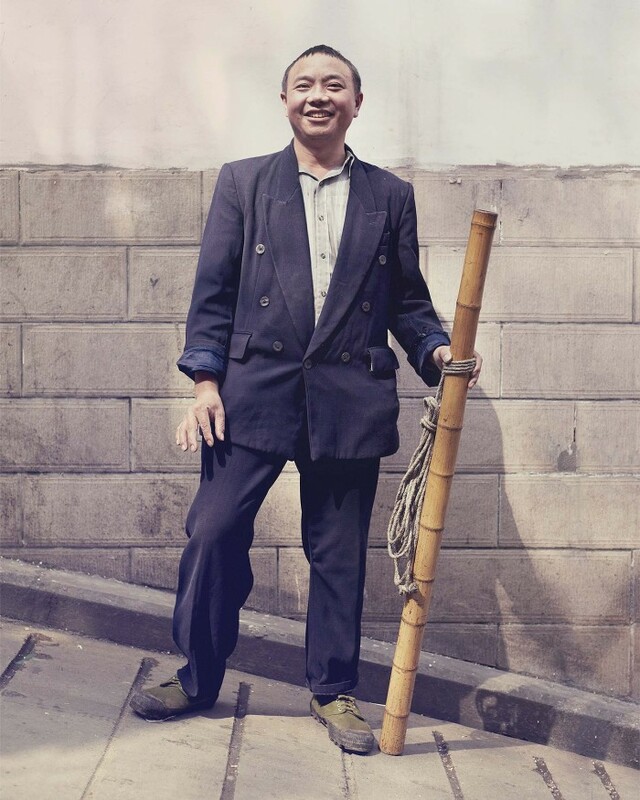 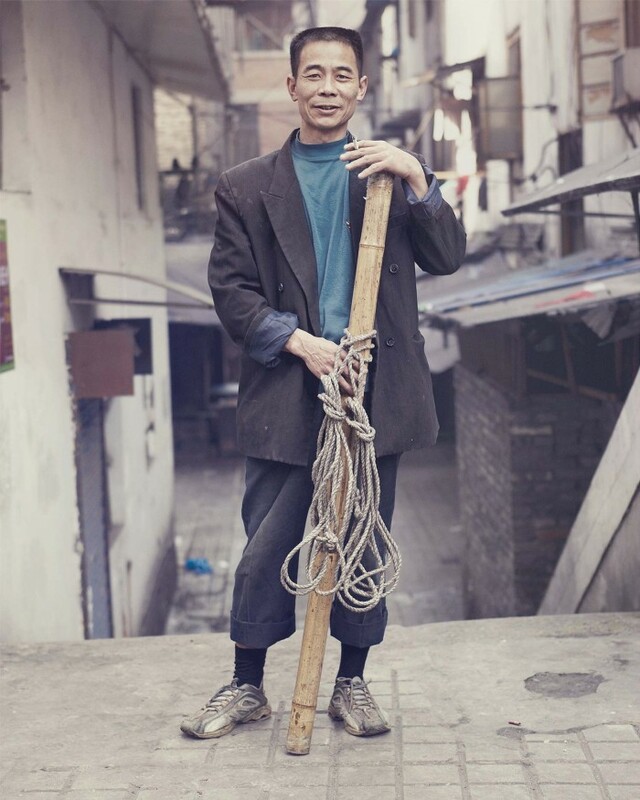 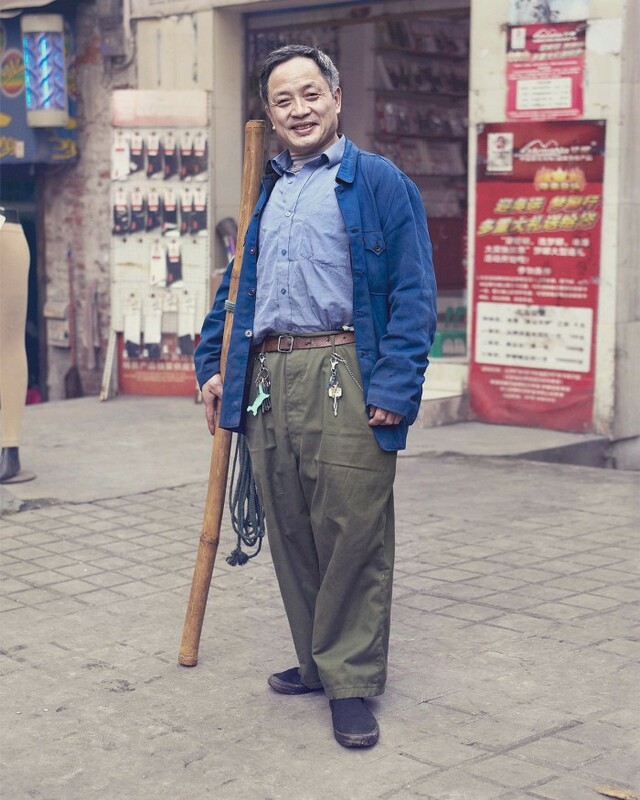 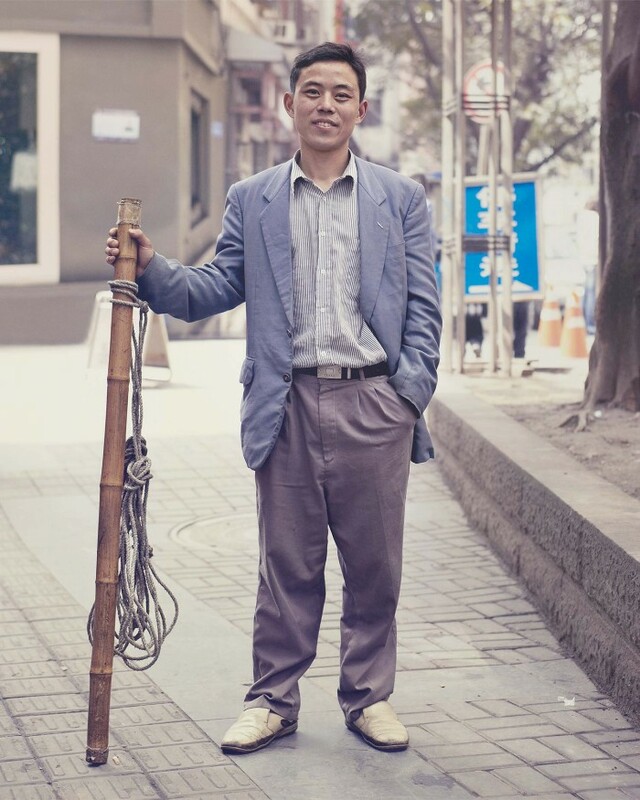 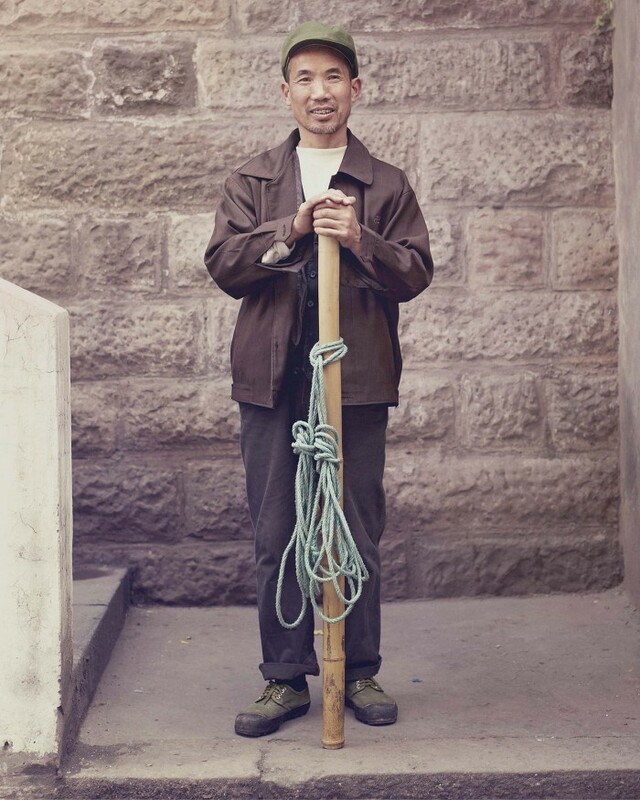 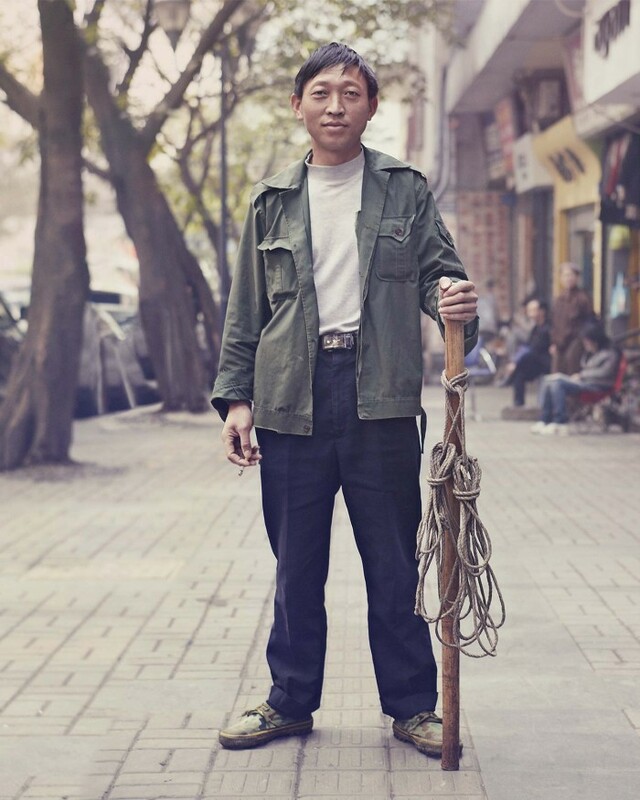 At the very foundation of the labour market are the estimated 100,000 Stickmen, who are the descendants of the Yangtze trackers who hauled boats against the current before the invention of the internal combustion engine. 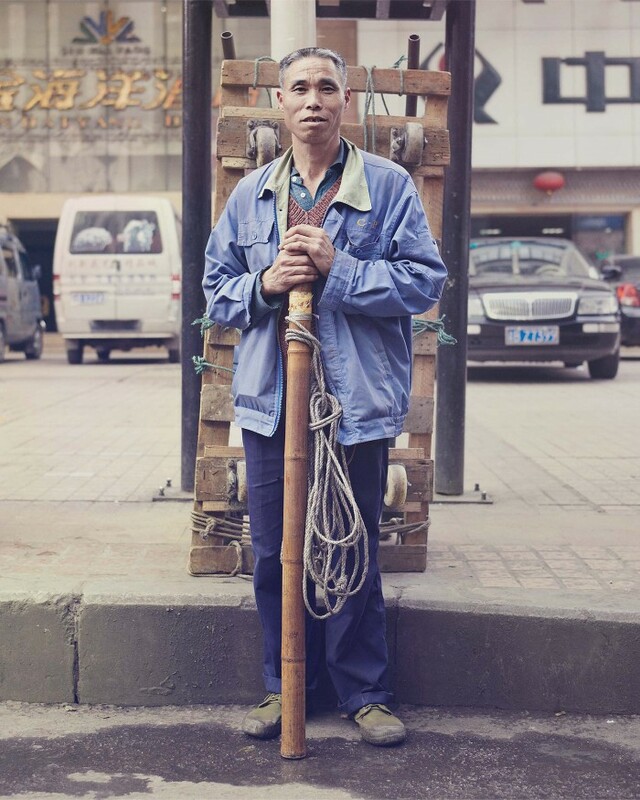 Captives to the divisive ‘Hokous’ system of rural/urban human registration these throwbacks to 19th century serfdom are a stark reminder of the changing nature of modern urban China, its new economic freedoms and massive poverty reduction. 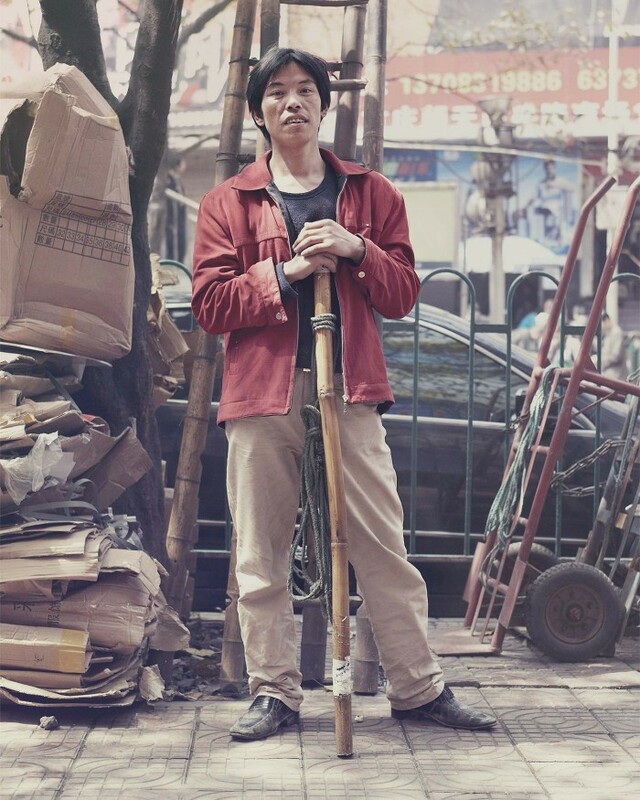 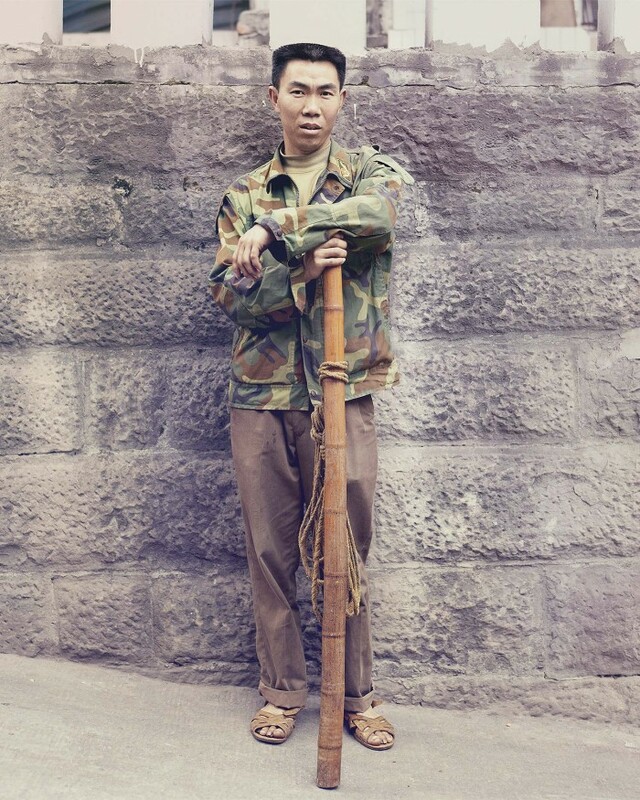 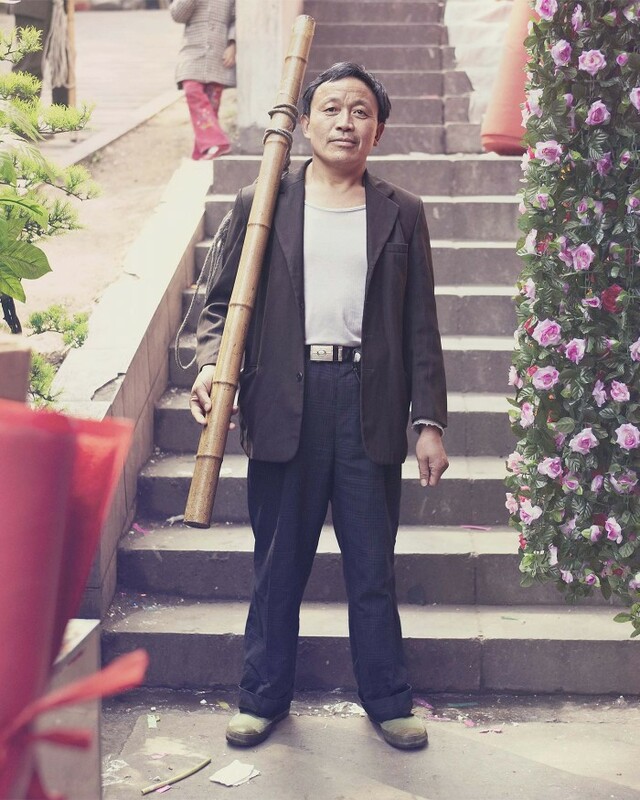 Locally known as the “Army of Bang Bang” after their short, stout bamboo sticks these human freight carriers are the backbone of the goods delivery systems of the 30m plus city.